I got some pretty great literary themed gifts for Christmas this year, and I wanted to share them all with you. Thank you to all my family and friends for knowing me well enough to know that you can never go wrong with buying me books. 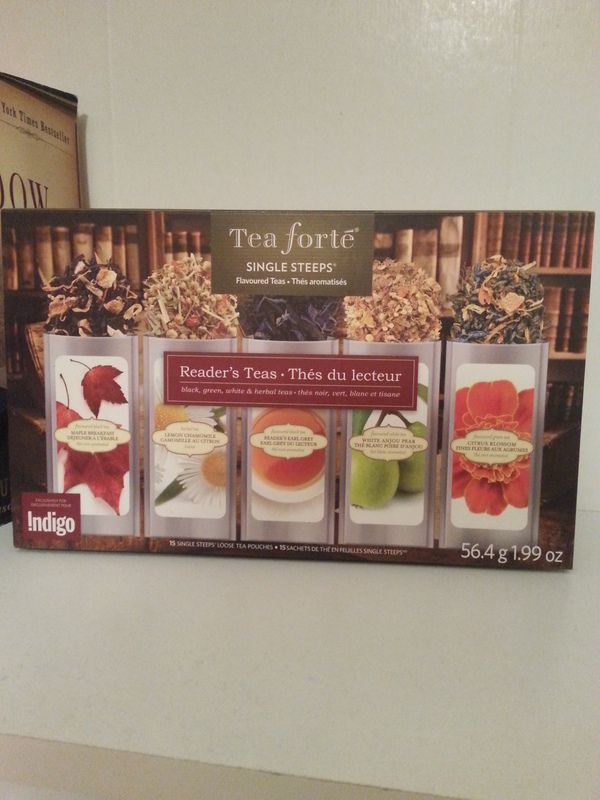 First up is a set of Reader’s Teas from Indigo. The box states “There is nothing more agreeable than the voice of a book and the quiet of a cup of tea,” and I happen to agree. I love White Teas and am especially excited to the the White Anjou Pear. Now just to find the right book to pair it with. From the One of a Kind Craft Show come this literary inspired pillow. 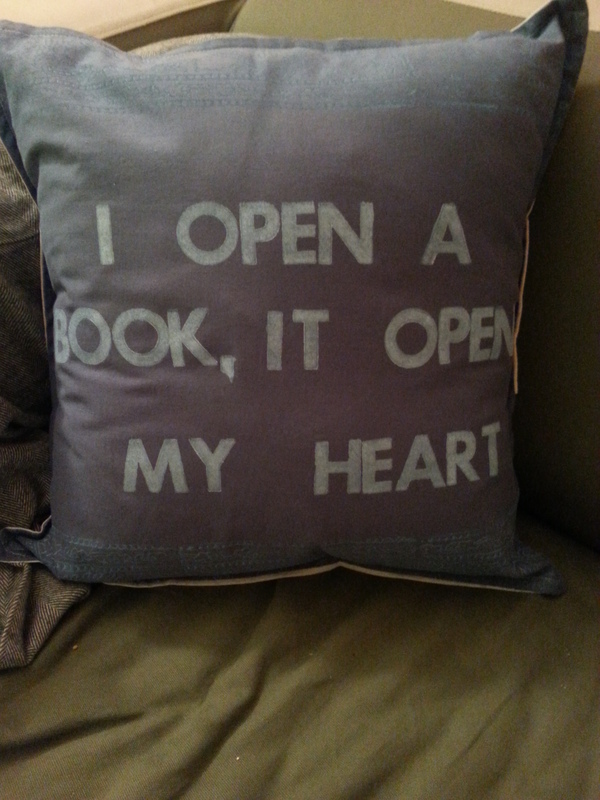 My apartment is lacking in book related decor, and I love the sentiment expressed on this pillow; “I open a book, it opens my heart.” The pillow is from Lois Ward of Goodlines Décor, based in London Ontario, who makes all her products out of pre-loved fabric and non-toxic ink. You can check out her site and where to buy her products on her webpage. 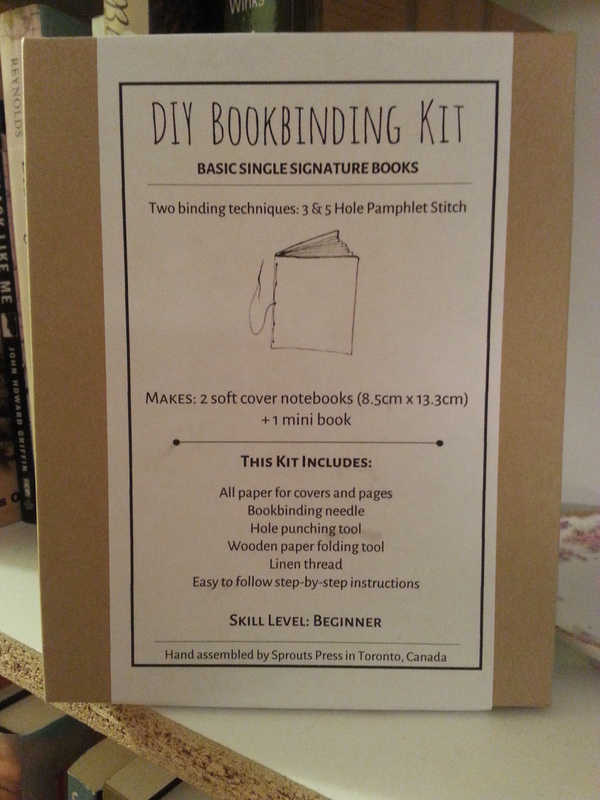 Also from the One of a Kind Craft Show is this bookbinding kit from Sprout’s Press. I posted a while ago about how much I loved everything at the Sprout’s Press booth and was so excited to open this on Christmas day. I can’t wait to try my hand at binding my own journal and will be sure to share my experience on this blog. Obviously a number of books were on my Christmas wish list. 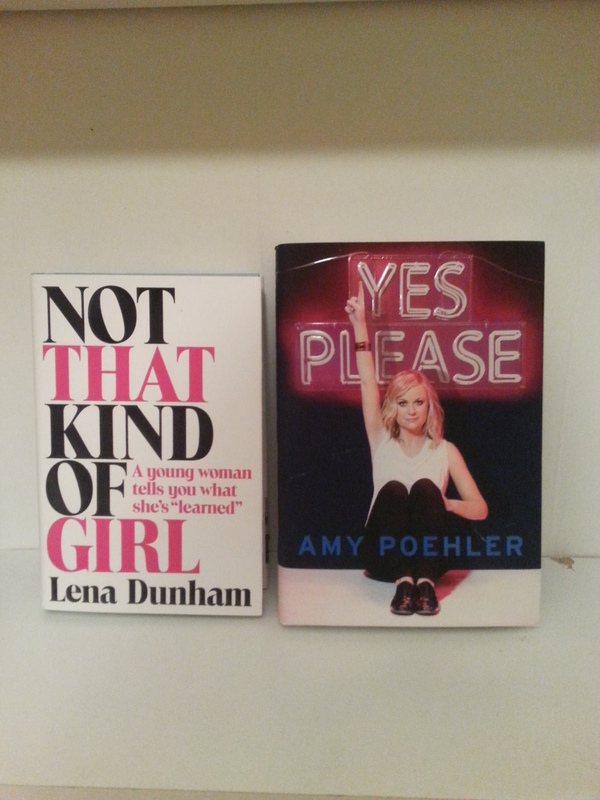 Santa must read this blog because Lena Dunham and Amy Poehler are both hilarious women as well as strong female role models, and anyone who reads my blog knows what a winning combination those two things are. I cannot wait to start reading these so that I can fall in love with both women even more. Last but not least, everyone knows that I am constantly carrying multiple books around with me and always have a need for good book bags. 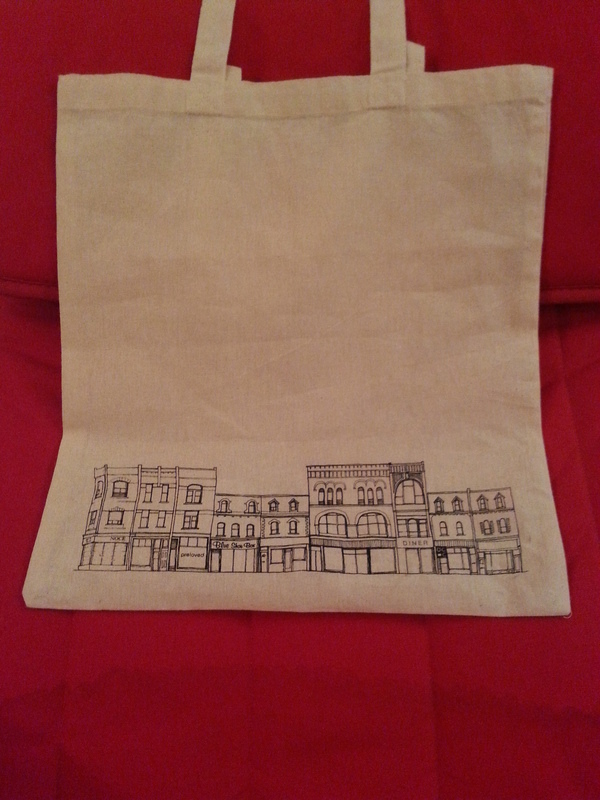 The one on the left depicts Queen Street West and was crafted by No Place Utopia, which creates beautiful Toronto themed artwork and decor. 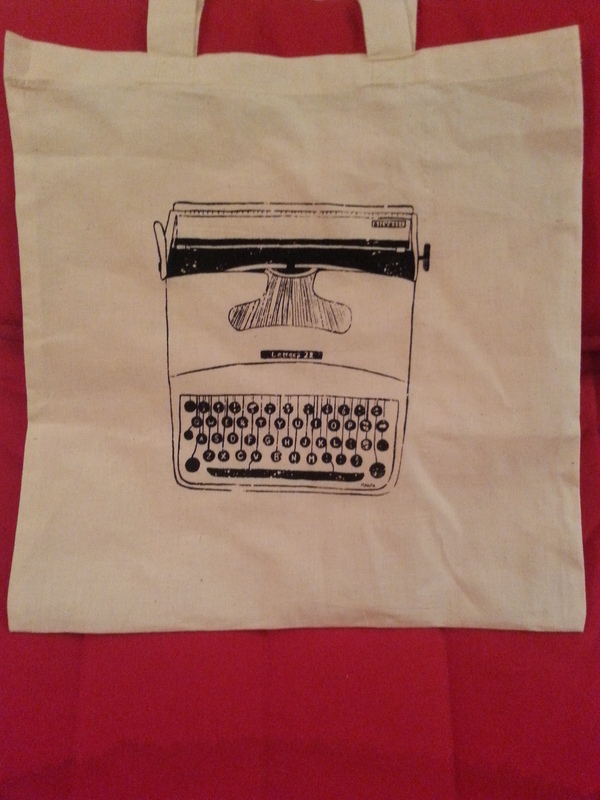 The tote with the typewriter is also from the One of a Kind Craft Show and was crafted by Made in Brockton Village. Both of these will definitely come in handy when lugging around my collection. Finally I also received a gift certificate to Indigo and am torn on which books to buy. Right now I am pretty much set on The Tastemakers by David Sax, and The Massey Murder by Charlotte Gray. Anything can happen when I step into a bookstore however, and I have a feeling I will be needing one of my new book bags to carry home all my purchases. Hope everyone had a wonderful holiday and has a very happy New Year. 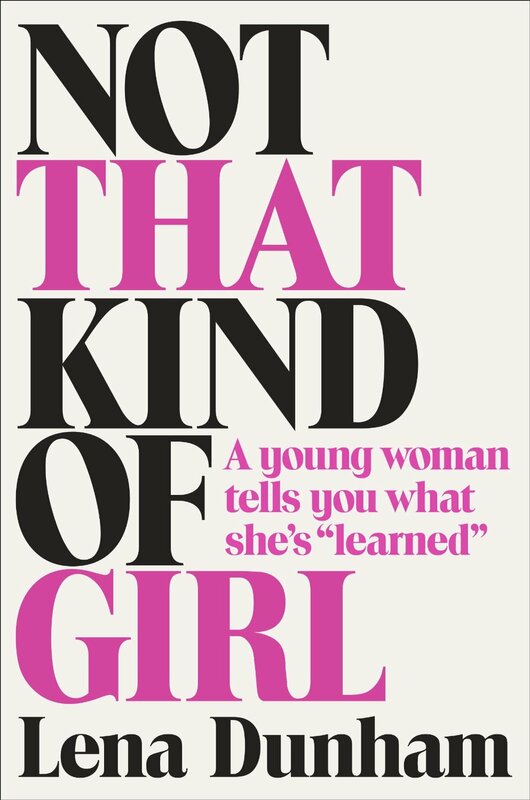 This entry was posted in Special Post and tagged Amy Poeheler, Book Bag, bookbinding, Books, Christmas, Gifts, Lena Dunham, Tea on December 29, 2014 by kwils3.